My fellow Starbucks aficionados, we’re in luck. 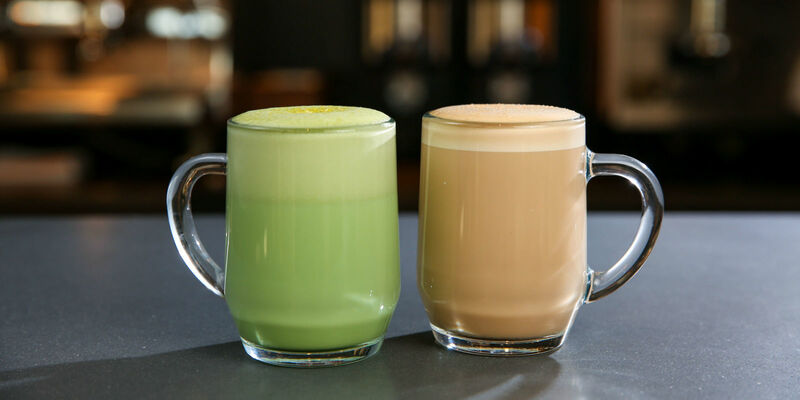 If, like me, you’re tired of the (incredibly tasty) Cinnamon Dolce Latte or the Latte Machiato, this news will make you smile: Starbucks is adding two more lattes to their ever-changing menu: the Smoked Butterscotch Latte and the Citrus Green Tea Latte. Both sound delicious. I’m already checking the balance on my Starbucks gift cards. Both lattes were invented at the Starbucks Roastery, Starbucks’ Seattle tasting room that showcases rarer coffee beans and serves exclusive food and drinks. Roastery workers should be proud: this is the first time that drinks originating from the Roastery are going on sale across the country… and we couldn’t be more excited. Meanwhile, the Citrus Green Tea Latte is the Roastery’s spin on the regular green tea latte. This new latte combines green tea with citrus mint syrup, tops it with steamed milk and then adds a citrus-lemon note. Delish news editor Megan Friedman raves, “It has the distinct nostalgic smell of Froot Loops in milk, but it sadly doesn’t taste like cereal. Instead, it tastes like earthy, creamy matcha combined with the zing of lemon.” Well I, for one, think that sounds delicious. Both the Smoked Butterscotch Latte and Citrus Green Tea Latte go on sale starting February 16 (so, tomorrow!). Unfortunately for those of us with a sweet tooth, they will only be available through March 21. Nonetheless, that gives us plenty of time to get our fill of these delicious hot beverages.